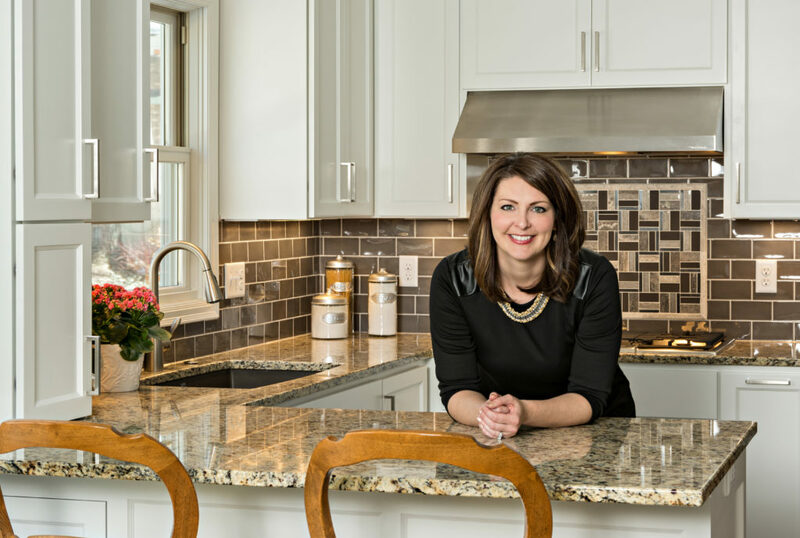 Kristen Peck | Knight Construction Design Inc.
More than 100 people visited Knight Construction Design’s beautiful Eden Prairie kitchen, which was featured in the Parade of Homes Spring Remodelers Showcase tour last week weekend. 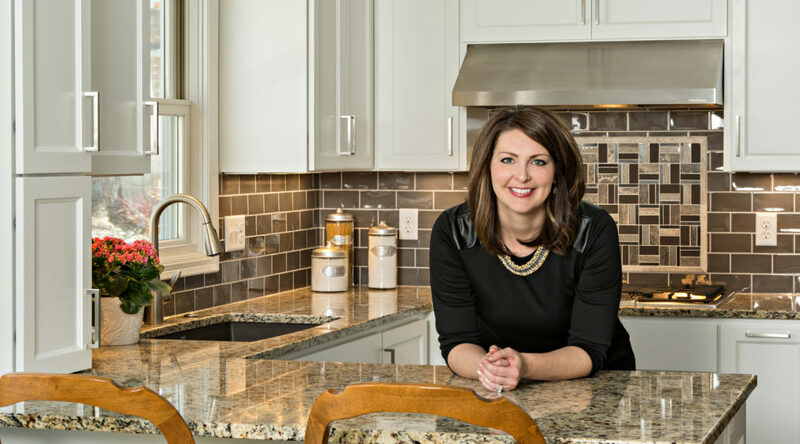 "Wow," was the most common reaction, according to Kristen Peck, Interior Designer, Allied ASID, CAPS. The old kitchen was dark, inefficient and outdated. A mechanicals chase for the furnace and water heater flue had divided the room and led to awkward appliance placement. Short, dark cabinets wasted space and vinyl flooring clashed with surrounding carpeting. • New, white ceiling-height cabinets are enameled to match existing main level trim. • New dark oak floor throughout the main level integrates the kitchen, dining room, living room and entry hall and anchors Dorian Gray and Tony Taupe painted walls. • A new high efficiency direct-vent furnace and water heater in the lower level eliminates the obtrusive chase to make way for Bosch double ovens and a French-door fridge. • An enlarged Marvin window, LED undercabinet lights and multiple recessed ceiling lights await installation of peninsula pendant lights for a bright, safe and pleasant cooking environment. • Wall cabinets at the peninsula were adapted to conceal rerouted mechanicals. • Touch-free high-rise faucet, deep drawers and multiple organization features enhance accessibility. 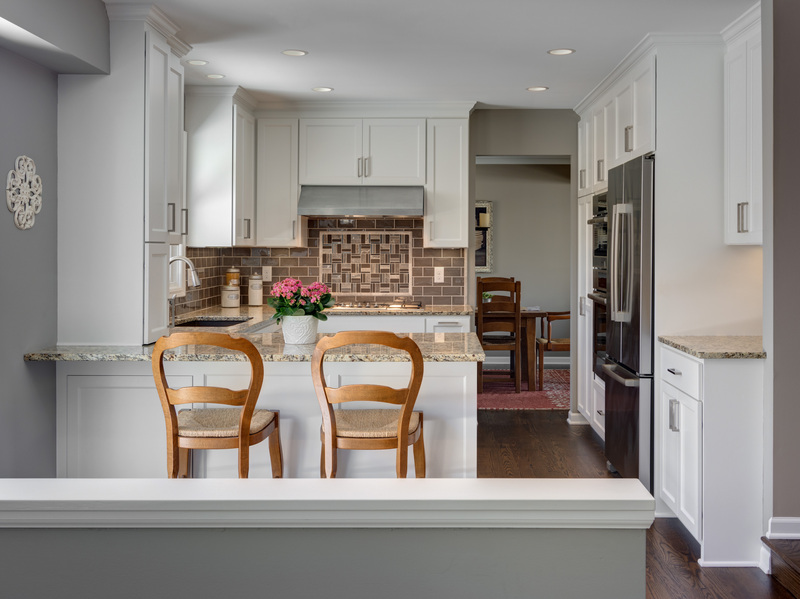 • Counter-depth, stainless steel Bosch refrigerator, dishwasher, gas cooktop and stacked microwave/convection and conventional wall ovens create a functional workspace. • An efficient, VentAHood range hood replaces the noisy old space saver microwave. • A reduced coat closet gave way to a more inviting entry. • Granite countertops and a darker under-mount Blanco sink replace the laminate counter over-mount sink.